Nothing encourages the jump into starting a solo practice than the advice of those who have already done it. In this episode of New Solo, host Adriana Linares talks to Rose-Ellen Fairgrieve, Tony Chiosso, and Albert Thuesen at the Bar Association of San Francisco’s first annual Solo and Small Firm Conference. Together they discuss their own solo experiences, focusing on how they started and what it took to grow as a firm. They also talk about the tech they use, like Google Voice, GoDaddy, and Ruby Receptionists, and the importance of researching these products that could save you time and money. Rose-Ellen Fairgrieve has been a practicing attorney in the public and private sector for nearly 20 years. She has owned Fairgrieve Law since 2013. Albert Thuesen is the principal of Coit Law Group (CLG), founded in 2014 in San Francisco. CLG is a full service civil practice, focusing on handling litigation claims on behalf of individuals, families, and local business clientele. Tony Chiosso recently started his own firm, Chiosso Law. He has represented clients in a variety of transactional, consulting and litigation matters throughout his career. Adriana Linares: Hello and welcome to New Solo on Legal Talk Network. I am Adriana Linares, a legal technology trainer and consultant. I help lawyers and law firms use technology better. Before we get started and I tell you what’s going on today, it’s very cool, I am going to go ahead and take a few minutes to thank our sponsors. Unbundled Attorney is a premium lead generation service that delivers exclusive leads directly into your Inbox in real time. Looking to get more leads and grow your practice, visit HYPERLINK “http://www.unbundledattorney.com/”unbundledattorney.com today. PerfectIt is a legal specific proofreading software that locates mistakes that neither spell check, nor the most eagle eye lawyer can find. Try PerfectIt from HYPERLINK “http://www.intelligentediting.com/”intelligentediting.com. I also want to make sure and thank Answer 1. It’s a leading virtual receptionist and answering service provider for lawyers. You can find out more by giving them a call at 800 Answer 1 or online at HYPERLINK “mailto:answer1.com”answer1.com, that’s HYPERLINK “www.answer1.com”www.answer1.com. I want to make sure and thank Clio, the world’s leading cloud-based legal practice management software. Thousands of lawyers and legal professionals trust Clio to help grow and simplify their practices. Learn more at HYPERLINK “http://www.clio.com/”clio.com. Okay. So I am excited to say that we’re recording live from the Bar Association of San Francisco’s First Annual Solo and Small Firm Conference. I’ve got three local attorneys with me, I am going to let them all introduce themselves and we’re going to tell you why we’re here and then we’re going to talk about what we always talk about on this show, going solo. So let’s start with Rose-Ellen. Hi Rose-Ellen. Rose-Ellen Fairgrieve: Hi. I am Rose-Ellen Fairgrieve and I am the owner of Fairgrieve Law Office, and I have had my practice, my own practice for a little over three years. Tony Chiosso: Good afternoon, Good evening, wherever you are. My name is Tony Chiosso. I am the owner and senior partner at The Chiosso Law Firm, which is in San Francisco and in East Bay. Albert Thuesen: I am Albert Thuesen, owner of Coit Law Group in San Francisco. We have a plaintiff side personal injury and employment practice here in California as well as Oregon, Washington and Nevada. Adriana Linares: And we are all here together because Albert and Rose-Ellen are on a committee to help plan this technology conference for solos and small firms, right? Albert Thuesen: Yes, we have. Adriana Linares: Tell us a little bit about the goal, why we’re here, what the committee wanted to do and how it’s going so far? Albert Thuesen: Well, the Bar Association of San Francisco has a very established solo and small firm committee, and we decided that this year we’re going to finally have an annual conference. So that’s why we’ve gathered here today and we’ve been very pleased with the turnout over a hundred attendees. Albert Thuesen: Yes, we are very proud of ourselves. Adriana Linares: You should be. Albert Thuesen: And one of the major themes of the day is learning how technology can help make you a better, smarter and faster lawyer, and that’s why we have invited you to join us today. Adriana Linares: Well, I was here, I gave a presentation at launch. It was great. Last night Albert and Tony and their compadre Tom, which is not here took me out. We had a great dinner and talked about the goals of the conference and the fact that Tony has just got on his own. Tony Chiosso: 30 days today. Adriana Linares: 30 days today. So we thought it would be cool to use this episode not just to talk about the Bar Association Conference, which is great and the tips that we hopefully picked up from the presentations that we have seen today, but also to help Tony because he is only been out 30 days and talk about how you went solo because Rose-Ellen you have been three years solo. Adriana Linares: And what about you, Albert? Albert Thuesen: I have been on my own for two-and-a-half years before that I did primarily defense, insurance defense work for about 14 years. Adriana Linares: So the two of you went out on your own, were you afraid you were never going to get a client? Adriana Linares: Right. And what happened? Rose-Ellen Fairgrieve: I got clients. Albert Thuesen: I got clients and they came faster than I anticipated, and the ship is sailing and we’re thriving. Albert Thuesen: You can do it. Adriana Linares: And so what happens, you have been on your own 30 days, you got a client yet? Tony Chiosso: So I had my first client on the second day that I told the world that I was going solo. Tony Chiosso: And there is a lot of low-hanging fruit I think when you go, first go solo. There is people who want to help you and they are — depending on your area work, I am not just doing personal injury, I am also doing Estate Planning, there is people who were like yes, I have always been waiting for someone that I know and trust that I can call and get that work done competently. And so, that’s the low-hanging fruit that came in the door right away and there is also a lot of people out there, they are looking to refer somebody, and so once they hear that there is someone they know and they like who is gone out and do a practice area that is necessary and something they are looking for, they are really eager to refer you. So I have gotten way more referrals than I thought I would. Adriana Linares: That’s amazing. That’s what always happens. Lawyers think they are not going to get clients. Okay. So, we have got some clients, but before we get too far ahead, let’s talk a little bit more about maybe the advice that you gave Tony when he decided to go on his own or Rose-Ellen what you would, if you ran into Tony in the past month or what you said to your friends who have gone out on their own like what would be the most commonly asked question that new solos have given you? Tony Chiosso: Yeah, the nuts and bolts. Adriana Linares: Do I need a secretary? Albert Thuesen: Do I need a secretary? Adriana Linares: Do I need a receptionist? Albert Thuesen: Do I need a paralegal? 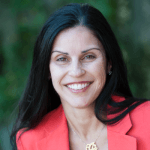 Adriana Linares: Do I need an office? Albert Thuesen: And those questions are all to be answered differently for different people, but the best advice I received early on was keep it lean and therefore that will be one less stress you have as you move forward. And when your practice grows you can take on new expenses as they help your practice thrive. Adriana Linares: What about you Rose-Ellen? Rose-Ellen Fairgrieve: Well, that was definitely my approach as well when I started, is really starting with a lean operation and then adding things because I didn’t know what my practice was really going to look like, I ended up really focusing on solely doing employer side advice and defense. But at the beginning I didn’t really know that. That took some, sometime. And so if you don’t have a lot of commitments upfront in terms of like monthly fees and things like that, then you have a little more leeway or a little more flexibility to be able to really build the practice that you want, and then once you figure out what you want, you put those things into place. Adriana Linares: Then you can sort of hone in, right. So you didn’t know new solo prep, but Tony, I think you did some new solo prep? Tony Chiosso: That’s right. I had two guinea pigs that had already gone out solo before me and there is that old saying, if they can do it, I can do it. And that was I think at least half the battle for me getting over the mental block of leaving the very — I won’t say cushy but comfortable job that I had and it paid very well and we’re living in a very expensive part of the world and have small family and good god, who in the right mind would go from the top of their game to starting all over again. Adriana Linares: Did anyone tell you you’re crazy? Tony Chiosso: Absolutely nobody told me I was crazy. Adriana Linares: Isn’t that amazing? Tony Chiosso: Everybody was so, so supportive from the start. I mean so many slaps on the back, and that was leading up to me even giving my notice, just letting people know was such a big part of getting over the mental hurdle what was going to happen. And it made a real from the beginning when I started telling people, and that’s the advice I got from my friend Albert. He was really instrumental in giving me the support I needed to, to make the step. Albert Thuesen: My view was you need to start telling people. If you — even if it’s your wife or your parents or whatnot, you need to start telling people, otherwise it’s just dream. And once you start to tell some of your confidants, then unless you’re a person that doesn’t follow through, then you need to start and you don’t want to be seen that way. Rose-Ellen Fairgrieve: No, and then you are not going to be very successful if you can’t follow through. Albert Thuesen: Yeah. If you tell people I am going to do this then the calendar starts running, and you start getting close to the date where you have to give notice and then you start, marching towards the day where you are opening up. And then as soon as you open up and there is not a hundred people outside your door, but the operation is moving and so as a friend I am very happy for Tony’s progress, and he is going to great. Tony Chiosso: So the first thing that I did, the very first thing and I swear to God this is not a plug for you to Adriana, but the truth is that it wasn’t just your podcast I started listening but I started listening to podcasts and there is something to be said about hearing, not just your friends that have done it before, but people from across the country that have taken that leap and it’s working for them. And it was just — there were times where I was sitting on a — we have the BART system out here on the subway, where I would have my podcast in and thinking to myself this is crazy, this is crazy I am going to start my own firm. All of the fears that people have about not getting the business, how will it work and I plug in my podcast headphones and it was our plan and everything would just — it was becoming real and that really was a big step. Tony Chiosso: Then there was LISTSERVs. Adriana Linares: Were you using local LISTSERVs or do you get on national LISTSERVs, like what kind of LISTSERVs? Tony Chiosso: So when you start putting your email address into certain services, they say they don’t sell but I don’t know but I started getting emails from everywhere. And some of them I unsubscribed to right away and others, I actually used to fill in gaps about my bookkeeping and what software; again, a lot from your podcast, but what software should I use and I didn’t just pick one and go with it. I tried several out for my client relationship management software. Adriana Linares: I think can I interrupt you real quick because I think that’s really important. Did you tell me you had done, Rose-Ellen had done the same, most lawyers will not take the time to sort of test the – I interviewed Nate — gosh Nate, why can’t Nate’s last name come to me right now. Albert Thuesen: Nate, is a powerful name, we could just leave it right there. Adriana Linares: Nate knows who he is, he is on the podcast, he is a client of mine and a good friend and he actually took two weeks and I remember in the podcast, I was like two weeks, he goes this was important I took two weeks to literally research everything, all the products that are available. So I think Rose-Ellen you told me you’ve done similar? Rose-Ellen Fairgrieve: Right so I kind of at first just signed up for one and then as I was using it realized the functionality that it didn’t have that I really wanted. And so then that’s when I took the time to research everything because going back to my earlier point like I didn’t really know what it was I needed until I started using it and figuring out where the shortfall was. Adriana Linares: That’s fair. Sometimes — and the programs can either have so many tools that you didn’t realize you didn’t need but it’s hard. So poking around in there is really, really helpful and I think it’s important that lawyers take the time to do that. So have you tested — you said you’re testing out back to Tony, you tested out some — or you did some demos you probably watched some videos and then that’s important. Tony Chiosso: Many different videos, videos from accounting to how the software will work and of course the reviews on all these things and there’s only so much time that you have. I was working at a high-stress job with lots of cases coming up for trial that I wanted to get set up for the next people that we are going to come aboard and start taking them on for my old firm and so doing three jobs just getting ready to launch my own firm at the start of the year. So there’s only so much you can do. There’s a lot of learning you could do after you launch. You don’t have to invent everything and have everything perfect on day one. Tony Chiosso: I think you want to have your website up in some form on day one and your business cards and your letterhead and things like that but beyond that you don’t need to make any other decisions. Rose-Ellen Fairgrieve: and I’ll just add to that that I really I just jumped in with two feet into the deep end. Adriana Linares: Rose-Ellen, you do it my style. Rose-Ellen Fairgrieve: Yeah, really I did and I think my first business cards were ones that I printed myself that’s from like word probably. Adriana Linares: But you had them. Rose-Ellen Fairgrieve: But I had them. Adriana Linares: And you probably said I just went out of my own, this is the only business card I have here and nobody cared. Adriana Linares: They didn’t care that you had print — but you had them. Albert Thuesen: I like to analogize, we’ve all practiced law for some time and before we went on our own I would tell people it’s like we’re about to jump out of a plane and you’ve been for at least in my practice, I had been learning how to pack a parachute for 14 years. And the day we started, jumped out of the plane, sure enough the parachute opened. So felt real good. Adriana Linares: Well, listen before we move on to our next segment we’re going to take a quick break and I’m going to give you a couple of messages from our sponsors. Advertiser: Are you a family law, immigration, or estate planning attorney looking to attract new leads and retain more clients? Join hundreds of other solos and small firms just like you who use Unbundled Attorney to receive premium, exclusive leads, delivered directly into their inbox in real time. To learn more about their lead generation services can grow your practice, subscribe to the Unbundled Attorney Mastermind podcast or visit unbundledattorney.com today. Imagine how much faster you could work if you spent less time proofreading. Almost every lawyer wastes hours each week proofreading rather than producing legal work. With PerfectIt’s American Legal Style, you spend less time proofreading and have more time to focus on substantive matters. It’s easy to use and there is no training required. Type PerfectIt for free from HYPERLINK “http://www.intelligentediting.com” intelligentediting.com and start saving time on proofreading today. Is your firm experiencing missed calls, empty voicemail boxes and potential clients you will never hear from again, enter Answer 1 Virtual Receptionist. They are more than just an answering service. Answer 1 is available 24/7. They can even schedule appointments, respond to emails and agree with Clio and much more. Answer 1 helps make sure your clients have the experience they deserve. Give them a call at 1-800 Answer 1 or visit them at HYPERLINK “http://www.answer1.com/podcast”answer1.com/podcast for a special offer. Albert Thuesen: Albert Thuesen, Coit Law Group, San Francisco. Tony Chiosso: Tony Chiosso, Chiosso Law. Rose-Ellen Fairgrieve: Rose-Ellen Fairgrieve, Fairgrieve Law Office in San Francisco. Adriana Linares: Three proud solos, so when we left off we were just talking to Tony about going on his own but you sound like a pro. I mean it’s only been 30 days but the advice you’re giving and the things you’ve gone through, you actually kind of sound like a pro. Tony Chiosso: We have to own it. Adriana Linares: Got to own it. Tony Chiosso: You got to own it, this is your life, it’s my family’s life, it’s a big serious step but it’s not all about the pressure. It’s about what you’re trying to get out of this and for me, it was the right time in my life to make change and I wanted to do something positive for me I wanted to, my own business, I had set up other people’s firms before and it was time to set up my own and make it go. Adriana Linares: So we were talking about your new solo prep, so you did some research, looked at some software, is on your list your office space because last time we talked about your office space, right? Adriana Linares: Let’s talk about that. Tony Chiosso: So if you come from the position that you’re going to be as lean and mean as possible, you have some options. And one of those is running virtual office space. And again, I didn’t have to reinvent the wheel to figure this out. You just need to talk to some people and find out what works for them and then think about would I be able to live with this? And so I would visit former colleagues at their virtual offices, which are all over the place, there’s all different versions and they had these plans where you could come in as often as you want and work in a shared space, you can have them take your mail for you, answer the phones for you, all for very reasonable price. And if you do need an actual office to meet with your clients or whatnot just rent by the hour and I’ve had no problems with it so far. Adriana Linares: And so we’re in San Francisco, probably your idea of a very reasonable price, it’s probably high compared to someone who might be listening this in another market and then it would be even more amazing how not high that price would be. Tony Chiosso: Good point. Good point. And the prices definitely vary just by a few blocks where you walk in San Francisco, it’s a different price. Adriana Linares: Right. Rose-Ellen, do you have – what do you have, your own office space that’s shared, tell us a little bit about yourself. Albert Thuesen: She has a great office. Rose-Ellen Fairgrieve: Yeah, I have an office. So I spent the first 18 months working out of my home and using conference rooms like here at the Bar Association of Francisco. Rose-Ellen Fairgrieve: They have great rooms, you can rent so I have had dispositions here but now I do have my own office space. And it’s a shared space in terms of like there’s a very large space and I rent an office within that space. Adriana Linares: And it has shared resources like maybe a shared receptionist as you are in conference room, do you get Wi-Fi. Rose-Ellen Fairgrieve: I have Wi-Fi, I have a conference room. My receptionist, I use Ruby Receptionist. Rose-Ellen Fairgrieve: Yeah and I have virtual assistants and when I need people to come in, then they come in. Adriana Linares: Where do you get your virtual assistants? Rose-Ellen Fairgrieve: So right now I’m using — there’s this company started in San Francisco called Freedom Acres and they provide, their assistants are spouses, military spouses and they’re located all over the country. Adriana Linares: Oh Tony wrote this, he is writing this down. Tony is going I like this. Rose-Ellen Fairgrieve: Yeah, so it’s really great and like my assistant recently went on vacation and they just pulled someone else in to fill in for her while she was out. Adriana Linares: And are using them for clerical tasks, for word processing, for what types of tasks do your virtual assistants get? Rose-Ellen Fairgrieve: Right. Clerical things, calling people, making calls, I mean really anything that can be done virtually. I try to get my assistant to do it. Rose-Ellen Fairgrieve: I am pretty self-sufficient. I had worked for my 15 years of practice right before I went out on my own were with a public entity. So I was used to be very self-sufficient. So sometimes it’s just faster for me to do my own thing but yeah it’s a great resource. Adriana Linares: What’s your office space like Albert? Albert Thuesen: I use part of the Regus Network. Albert Thuesen: So I have a home base and my services’ team there takes care of my mail, and phone calls and things of that nature, but I actually enjoy the freedom of working in other offices in the network outside of my own home office. Getting started was very important for me to maintain a paperless office policy and that allows me to work whenever and wherever I choose. Adriana Linares: How were you paperless? Albert Thuesen: I’ve got a pretty religious system in that every evening I do my scanning, it’s usually when I’m playing with my daughter. Albert Thuesen: In the morning I do the shredding and once a week I make sure I do electronic filing, if you will, taking your scans and re-labeling them and putting them into the appropriate format. And for me after two-and-a-half years I’ve got less than four inches of paper mail I have kept. Adriana Linares: I love that. Tony, are you paperless so far 30 days in? Tony Chiosso: Yeah, there hasn’t been that much paper in the process yet and along the same lines though the vast majority of my client interaction is on the phone and they’re on email and there’s just a few situations on the intake side where you’re going to need to meet somebody and have anything executed. Really the challenge with the paperless office is just setting up the processes in the beginning but once you do that or once I’ve done that anyways, it’s been very easy to just duplicate it each time. Adriana Linares: I just started using DocuSign not too long ago and so I’m a Google Apps for Business subscriber, well and Office 365 and I forget — let’s see what happened I think through Google Apps for business I get 10 free a month and then maybe it costs, it’s very reasonable, but anyway long story short I couldn’t believe how easy it was, because everyone you know, come on like, I’m a technology consultant, haven’t I done this before? The answer was no, I didn’t, I just would send a PDF file and then I started sending and not one single lawyer, and so my clients remember their lawyers who everybody says can’t figure out how to use technology, but nobody has had a problem. So it’s inside of Word, so this is Microsoft Word on the PC. I haven’t figured out yet how to do it on the Mac, because I just haven’t had to, but anyway, inside of Word on the PC there’s a little the store, the Microsoft Store. So you go into the Microsoft Store, you get the DocuSign app, it installs inside a Word. Then you’ve got your Word document sitting there. You click the DocuSign button, it opens up on the right-hand panel, a place where you login, which I login with my Google Apps for Business ID because that’s how I get 10 free at least a month. And then it says, all right, we’re going to send this over to DocuSign and it just opens it up in a new Window. So now it’s open up like in Chrome and it’s converted my document to a digital version. And then on the left-hand side it has these drag-and-drop fields for an initial so wherever I want an initial to go, I drag from the left onto the Window, drag, it’s got title, date, signature and so I put a little an initial at the bottom of each page and in the signature at the bottom, and my signature is already in there, because I put in the word document and I email it out and then DocuSign lets me know when someone has viewed it, and they let me know when they digitally signed it. And we’re ready to go, it’s pretty awesome. Tony Chiosso: That’s pretty advanced. Now, I know the new version of Adobe. Adriana Linares: I am aware of that, I am a consultant Tony. Adriana Linares: Well and the thing is you got to get it to Adobe, so that’s an extra step, so try DocuSign. I think you’ll find it’s really easy and you get some frees with you, are you an office — a Google subscriber too? Tony Chiosso: Okay. I am and I was actually just going to talk about the Google voice service. Tony Chiosso: Unbelievable. I wish I had been using it for years just for my own personal use. So my firm number is a Google Voice number. Adriana Linares: Wait, where were you not answering your phone from? So where does it ring, so you’ve got a Google Voice phone number which is your office number, where does it ring? Tony Chiosso: Well I’m highly mobile so it’s going to ring on my mobile phone and if I can’t take it, it will roll over to the Regus Office or if it’s after hours or before hours and I decide I still can’t take the call, I can choose to decline the call. It will immediately give the caller my greeting and I can actually listen to their message live. Adriana Linares: As they are leaving it. Tony Chiosso: As they are leaving it and I can get right back to them and it also emails me a transcript and it’s just incredibly helpful to have that information and it allows me to prioritize what I have to do right away. Adriana Linares: And if your contacts are in Google and you’re logged in like so I am on my computer right, so Google has my contacts in it, Gmail or Google Apps for business I should say, it’ll tell me the caller ID. If it’s someone I already have in a contact and I think it also does it to their entire network. So sometimes I’ll get Bob Law Firm and I don’t know them, but Google knows, it’s the caller ID. Adriana Linares: So I guess what I am saying, it even has Google – right, it’s pretty cool. What about you, what do you use for phone? Rose-Ellen Fairgrieve: I also have Google Voice. Adriana Linares: Excellent, and it’s free. Adriana Linares: That’s the crazy part, it’s free too. Okay, what else is on the Going Solo prep list Tony? Tony Chiosso: Okay. So, I enlisted the services of my Chief Marketing Officer who of course is my wife Susan, who is already the most amazing sales person that I’ve ever met and she really is. She’s incredibly motivated and she’s a wonderful salesperson and so she started selling me even before we launched. And you know just what I’m saying is you need to engage everybody around you into your own success, and at least now in the beginning, again, I’m only 30 days in, but people have been very, very enthusiastic about wanting to help when they can. And so, take advantage of that if you can. Adriana Linares: Let’s talk for just a second since you mentioned your CMO, and you also mentioned earlier getting your website up and off the ground, who — you can name names if you want or you can just say a friend or a company, who built your websites for you and how much did you pay? Adriana Linares: Do they have a law firm in a night service, it’s pretty good. Tony Chiosso: Pretty much. They have many tabs on there. I took a lot of those, I have two tabs. I have my homepage and have my contact page and that’s all I need right now. Now once I have more content, I’ll upload that, I’ll add more tabs. Adriana Linares: Right now you just wanted a place for people to go because you can not have a website. Tony Chiosso: You’re not legit unless you have a website. Adriana Linares: You are really not, all right so you’ve got Google Apps for business with your law firm name, right, and then you went into GoDaddy, you created a website, did it help you attach it to your email or and the domain name, did you buy the domain through GoDaddy? Adriana Linares: How did you figure all that out? Adriana Linares: No, it doesn’t work. Tony Chiosso: You have to have your own. It’s almost idiot-proof, it’s just that easy. It’s just you fill in a few things and of course your credit card and you see these are all things that add up to you making the decision, the commitment to go solo. You start doing these things, this is one you do in advance, and as much as I thought I would have my, a badass website up and running, even before I left it just — there was no time. So I actually did it the weekend before I went Solo, I put it all together and hopefully it looks okay, it looks great. Adriana Linares: Like we said you just have to have a place for somebody to go. What about you Rose-Ellen? You’re three years in now? Adriana Linares: Excellent, you go out, get help. Adriana Linares: How much do you think you’d spent, just give us ballpark, so if you don’t get, I will figure out. Rose-Ellen Fairgrieve: Yeah, it was not, it was like, I mean it’s been a long time now, but I want to say somewhere between $3,000 and $4,000. Adriana Linares: It wasn’t $10,000, right? Adriana Linares: It is somewhere under 5, now that would make sense. Adriana Linares: Pretty good. Well, unfortunately it looks like we’ve reached the end of our program but in a weird way we never have to reach the end of a program with New Solo. So we’re going to wrap up this part, we’re going to call this Part 1. We’re going to ask our guests to remind everyone who they are and where they can find a friend or follow you, whatever you’d like, and then we are going to come back in the next episode and continue this great conversation with these three amazing solos from San Francisco. So Rose-Ellen, let’s start with you, remind everybody where you are, who you are and where they can find you? Rose-Ellen Fairgrieve: I’m Rose-Ellen Fairgrieve. I have Fairgrieve Law Office in San Francisco. I’m an employer side attorney and I’m on Facebook. I’m pretty active on Facebook, Fairgrieve Law Office, I think you can just search and find me. Tony Chiosso: All right, I’m Tony Chiosso. So could find me at chiossolaw.com, C-H-I-O-S-S-O-law.com, if you don’t know how to spell Italian. I represent clients in estate planning, personal injury and employment litigation and I have to say I can’t believe that I’m giving my information out on a channel. Rose-Ellen Fairgrieve: You are famous. Tony Chiosso: Adriana’s podcast after having listened to it religiously for months leading up to this, so, thank you Adriana. Adriana Linares: You guys are so sweet. Albert Thuesen: This is Albert Thuesen of Coit Law Group, San Francisco. Of course anyone who is listening this probably know – already knows how to use Google. I also have a page on Facebook and LinkedIn @coitlawgroup and my Twitter handle is @coitlawgroup. And again, Adriana thanks for inviting me to join you guys. Adriana Linares: No, you guys invited me remember. Albert Thuesen: True, that’s very true. You should thank me. Rose-Ellen Fairgrieve: Thank you for coming. Adriana Linares: All right, for all you listeners who want to learn more about what you’ve heard today, make sure you visit New Solo on Legal Talk Network. Make sure you follow us on iTunes, Twitter and Facebook. We’re going to end this episode but we’re going to come back, we’re going to do Part 2 with these three amazing lawyers from San Francisco. Thank you everyone for listening. Join us next time for another great episode and remember you’re not alone, you are New Solo.